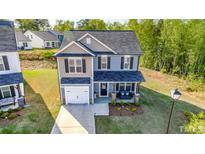 Find Clayton, NC Homes for sale. View Photos, Maps and MLS Data Now! Flowers Plantation - Gorgeous landscaping on level lot, Plantation Shutters. Quality Throughout! MLS#2250546. 2016. Photos are for representative purposes only! MLS#2250371. 1197. Tuscany - Come experience this home and community. MLS#2250502. 1886. Smart Home Technology in all of our homes MLS#2250515. 1197. Huge bonus room w/3rd full bath & 710 SF Unfin room. Private screen porch & patio! MLS#2250499. 1197. Bristol - Laundry on the 2nd floor. SMART HOME TECHNOLOGY! MLS#2250477. 1197. Plus the smart home technology, energy efficiency, and green home features that are always there to make life effortless and safer MLS#2250491. 1197. Cottages Of Walnut Creek - Enormous 2 car garage, all located in a gorgeous 1 street community near everything! ! MLS#2250428. 1197. Flowers Plantation - Don't forget to ask about our Main Street Stars discount and added promos!! ! MLS#2250433. 782. Screened patio is the perfect place to relax. MLS#2247601. 1319. Walnut Creek - Plenty of storage space in shed. Won't last long! MLS#2249606. 4260. Quail Ridge - Perfect for those looking to downsize or first time home buyers. MLS#2250537. 1127. South Plantation - House is listed and will be sold "AS IS" MLS#2250370. 995. Flowers Plantation - You also can enjoy an amazing massage, outdoor pool, & tennis Courts. Irrigation system on separate meter! MLS#2250151. 3193. 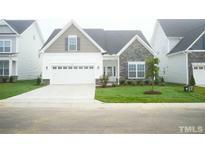 Bristol - Our model home is a Wilmington and can be toured. MLS#2250263. 1197. Flowers Plantation's Newest Neighborhood West Ashley, with custom builders, established neighborhood, friendly community, all starting in the low $220s. MLS#2250274. 2850. Bristol - A bedroom downstairs and full bath are great for guest or family.This five bedroom, 3 full bath home is waiting for you. SMART HOME TECHNOLOGY! MLS#2250272. 1197. The Meadows At Summerlyn - Bonus Items W, Accept. Offer: Pergola, Refrigerator. Custom Curtains! MLS#2250318. 2006. Homeowners can take advantage of the nearby Club at Flowers Plantation since the HOA includes lawn maintenance. MLS#2249961. 2515. Riverwood Athletic Club - Your friends will think it’s straight out of Pinterest, you'll just call it home. MLS#2249700. 1197. Flowers Plantation - Don't forget to ask about our Main Street Stars Discount! MLS#2250094. 782. The Pointe - Brand new hot water heater! Water treatment system added! MLS#2250043. 3298. Lions Gate - Enjoy beautiful summer evenings on your spacious private patio in this maintenance free community with swimming pool and athletic club membership available! MLS#2249960. 1197. Tons of upgrades in this beautiful Home include upgraded Granite and Cabinets in the Kitchen. It's a must see! ! MLS#2249932. 5180.